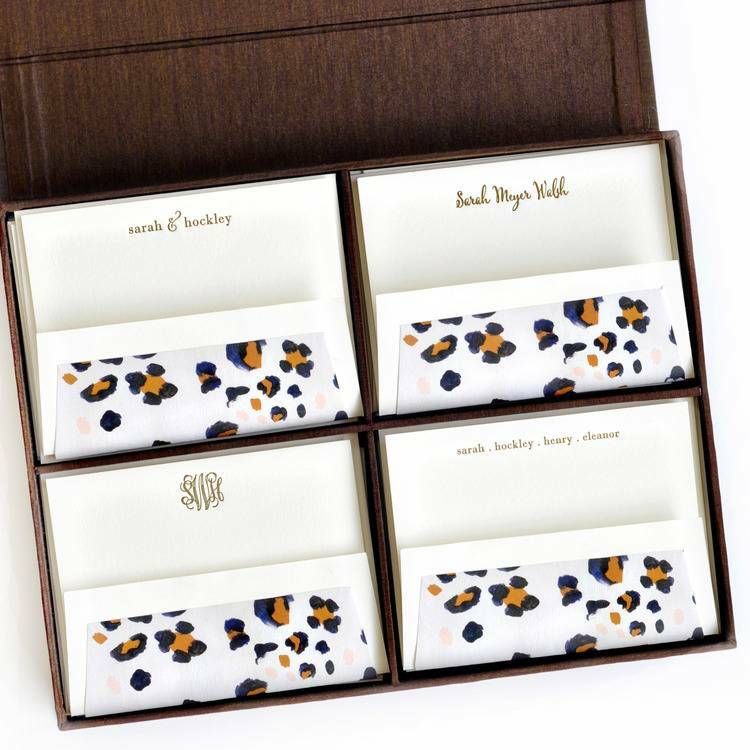 Tweeted as, "the best wedding gift out there" by Martha Stewart Weddings, the Grand Silk Stationery Box is a must have for every home. 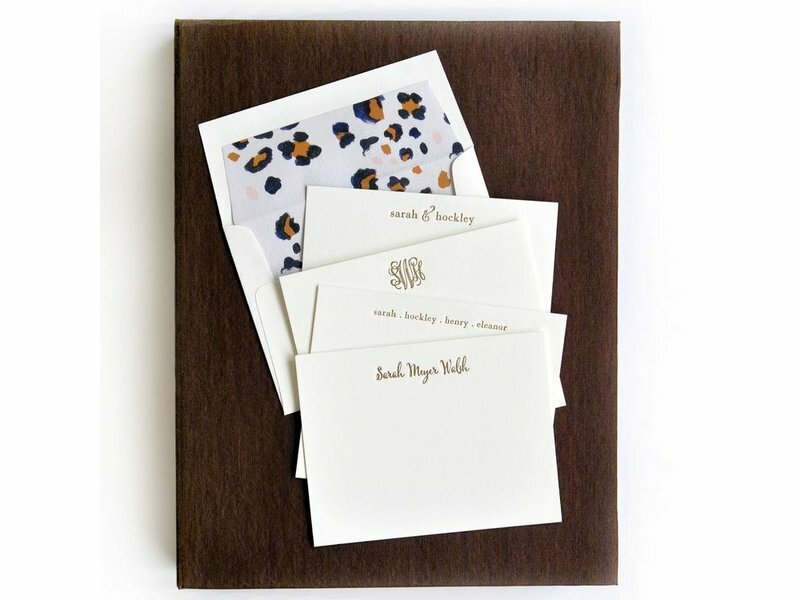 Whether it's for a newlywed couple, a house-warming for a family or an addition to your own desk, you're going to love personalizing this beautifully letterpressed stationery box set. 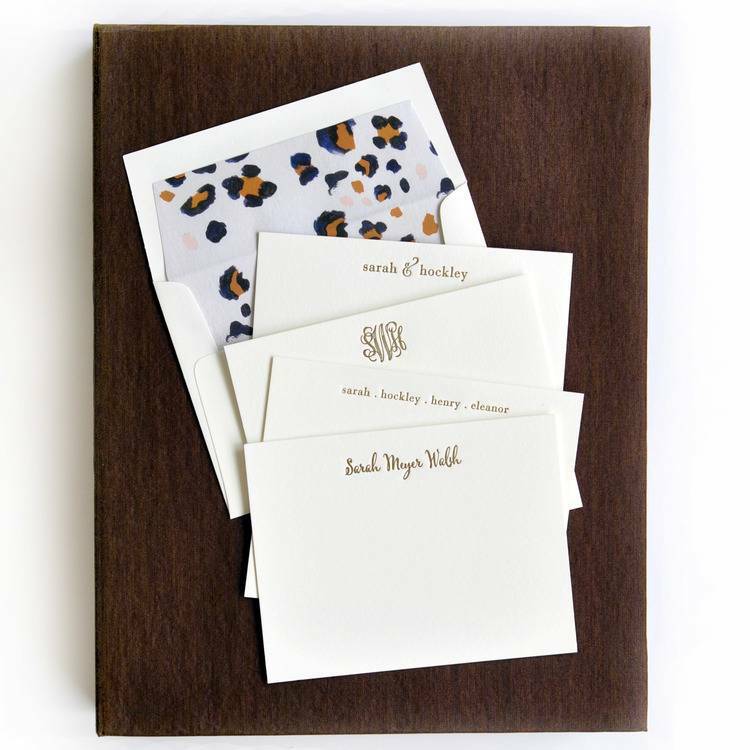 Each box comes with 4 sets of 25 pieces of custom printed, 1-color letterpress stationery for a total of 100 notes per box. 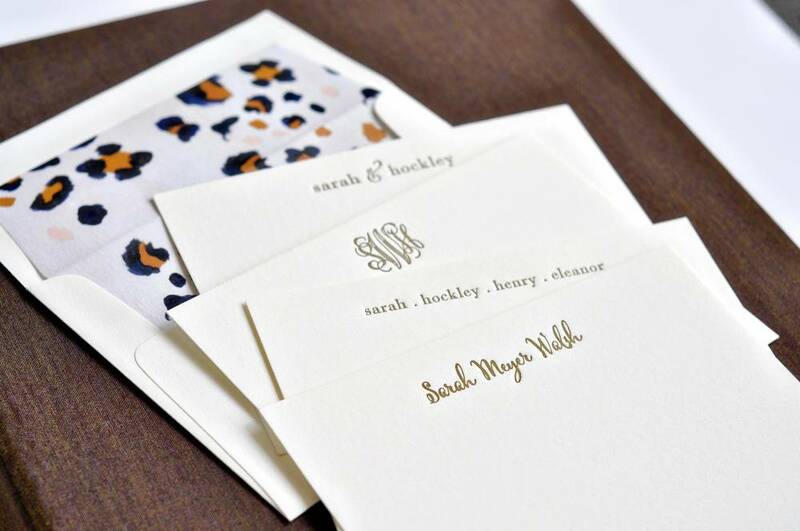 Envelopes include liner and letterpressed return address. 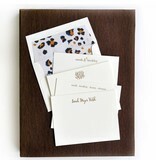 Stationery box, designs, ink color and envelope liners will be customized as shown. 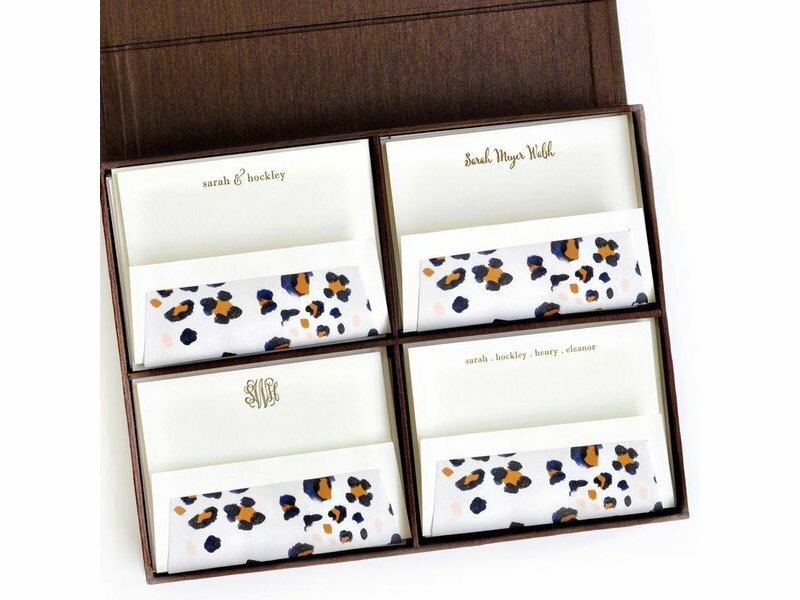 Customized products are non-refundable. You'll receive a color digital proof within 48 business hours that you will need to approve and then we'll move forward into production. 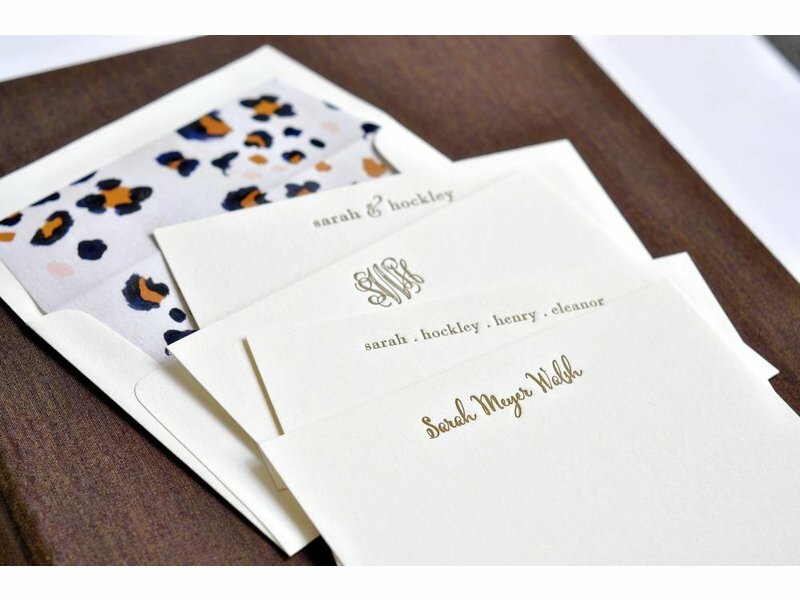 Your order will ship within 10-14 business days from final proof approval. Need this item sooner? Please contact us for rush availability and fees.